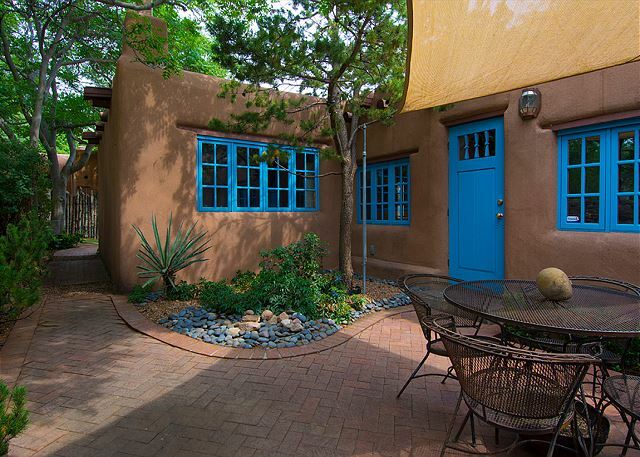 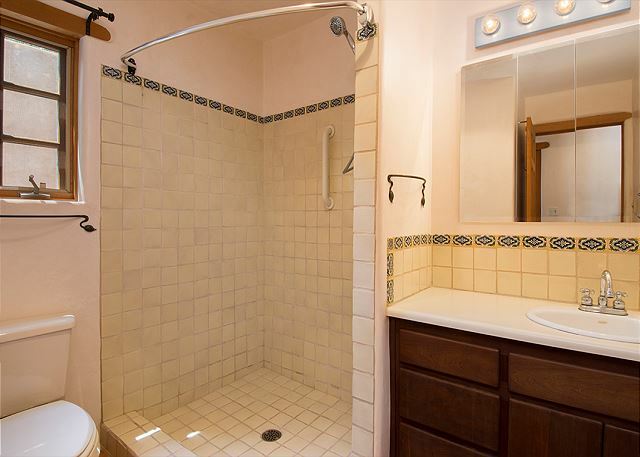 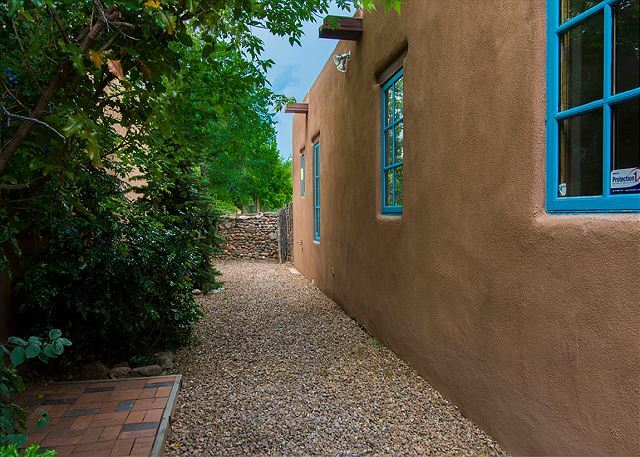 This charming eastside home is nestled on a cul-de-sac off Delgado Street, only 1 block south of Canyon Road, the renowned Historic Arts District of Santa Fe. 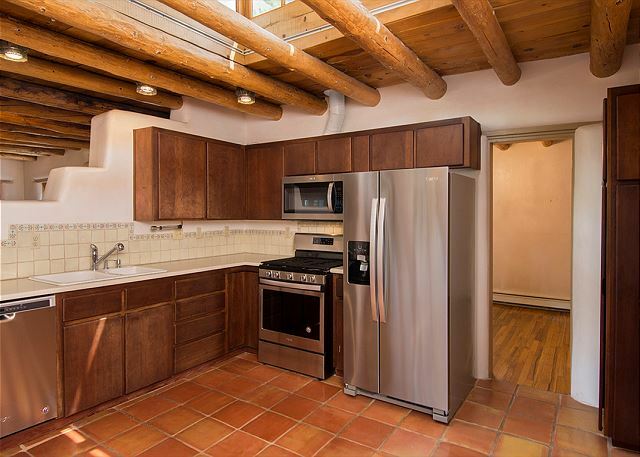 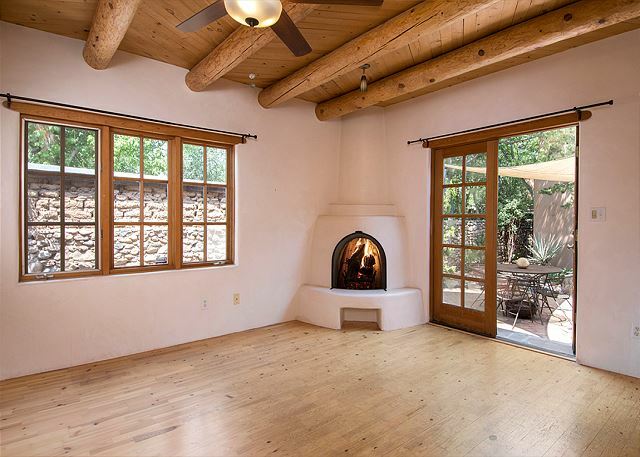 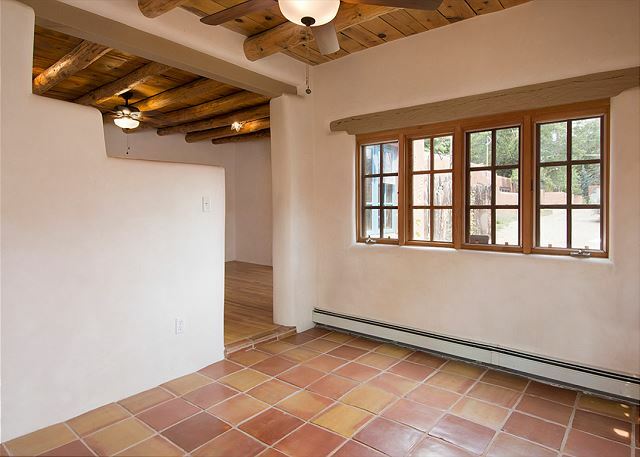 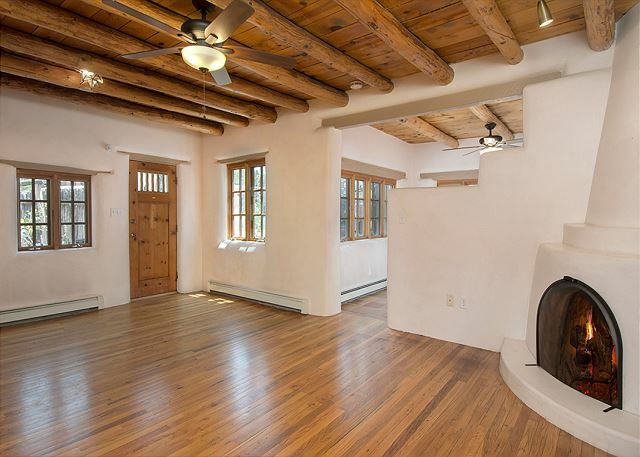 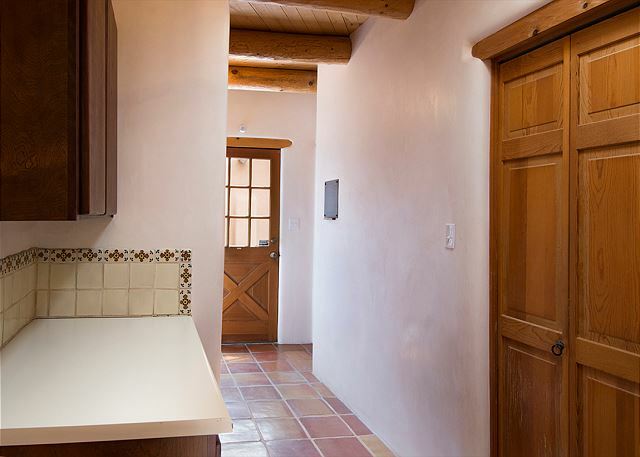 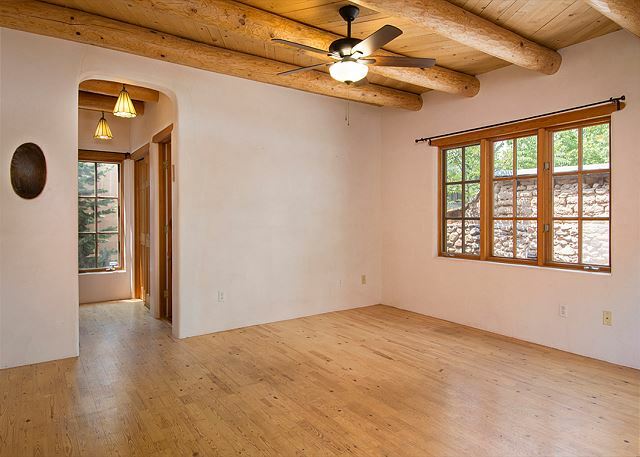 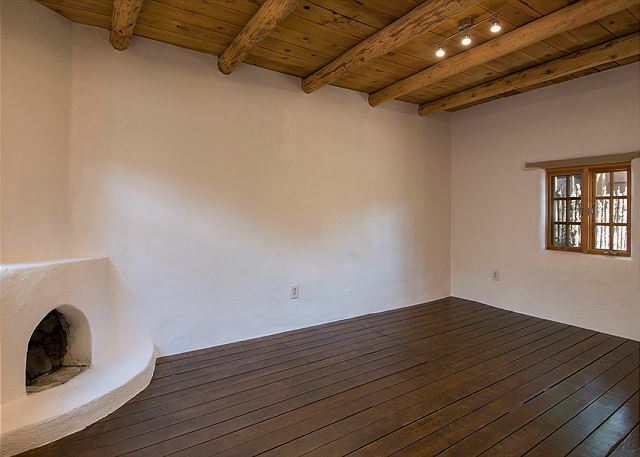 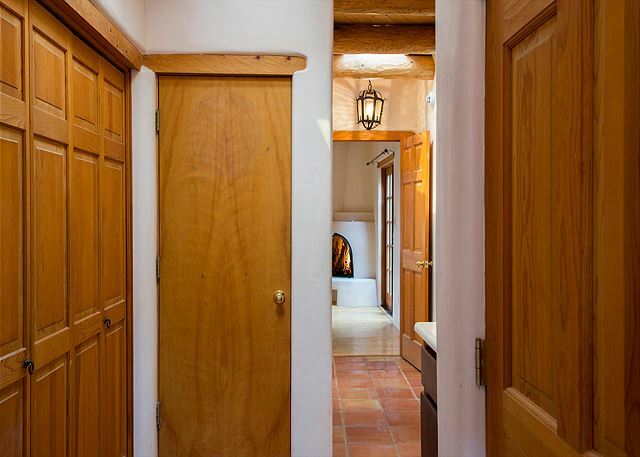 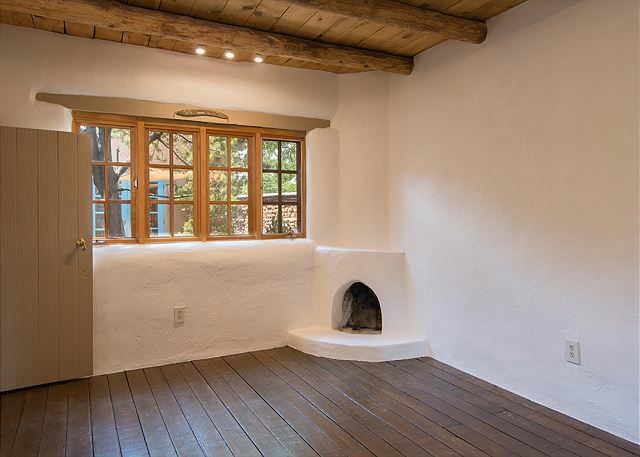 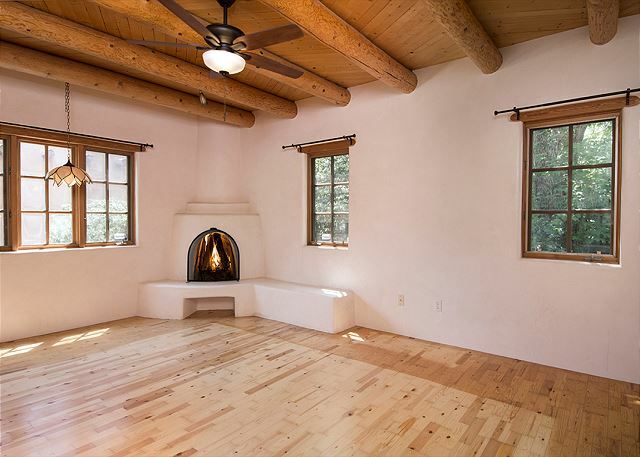 A welcoming 2250 square feet, 2 bedroom, 2 bath Pueblo Revival built in 1930 of traditional adobe-wall construction and fully renovated and expanded in 1990. 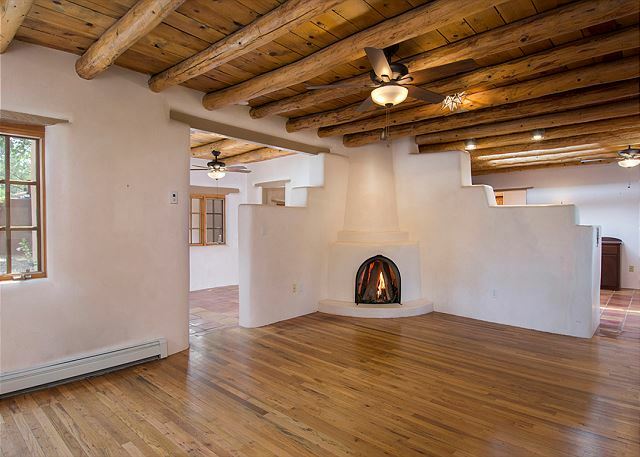 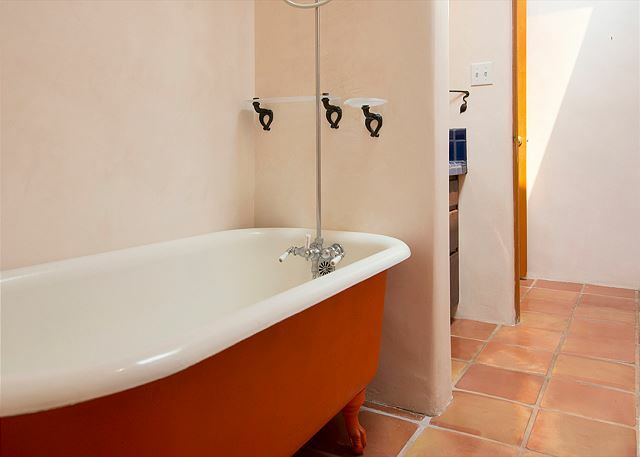 As well, it features the traditional Santa Fe style architecture, saltillo tile floors, exposed vigas, and diamond-finish plaster on the interior adobe walls. 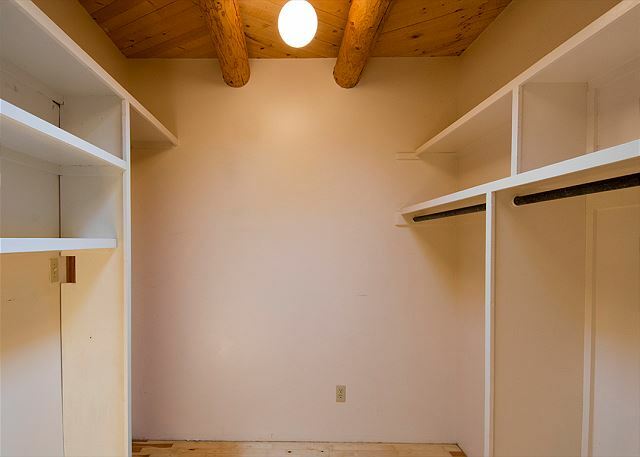 The renovation added 2 large bedroom suites with wood-burning Kiva fireplaces, a built-in central vacuum system, a larger kitchen, a dedicated laundry/linens area, new heating system installed in 2017 for the radiant and baseboard heating, and just upgraded further in July 2018 with all new stainless steel appliances, new laundry washer/dryer, remote control ceiling fans, and french door from the master bedroom to the back patio. 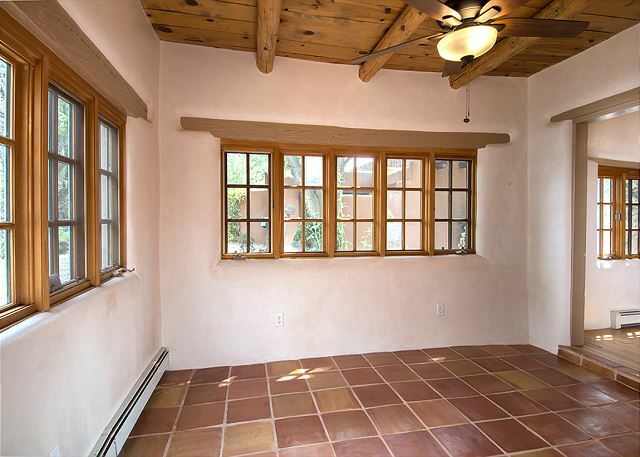 Offering a formal dining room, a sun (sitting) room. 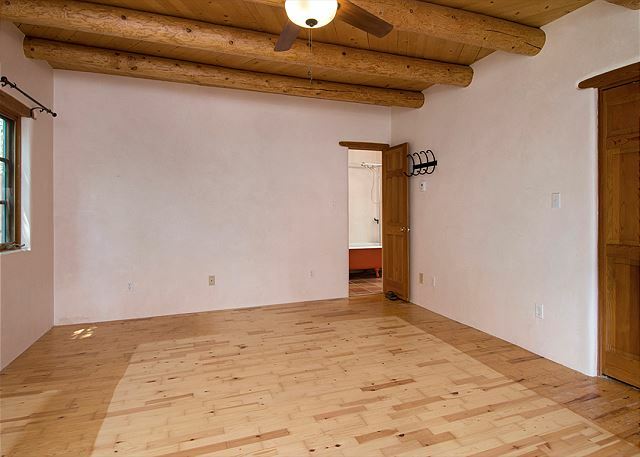 large living room with Kiva wood-burning fireplace, a wonderful bonus room off the living room for a library, office or media room all with wood floors. 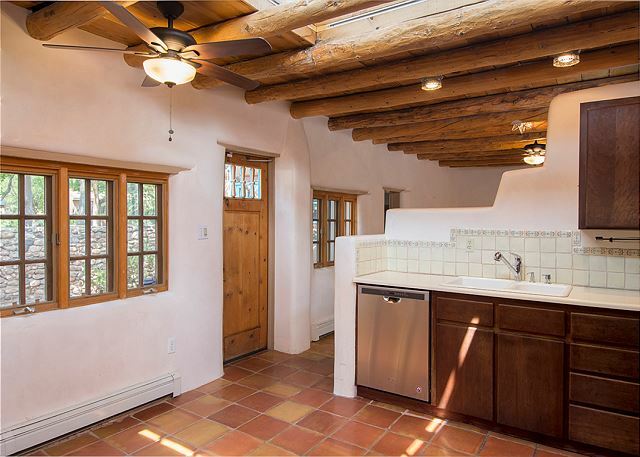 The kitchen offers saltillo tile, great spot lighting, large central skylight, ceiling fan plus an exit to the outside shaded brick patio with garden walkways flanking two sides of the home, all enclosed and gated by coyote wood fencing and adobe walls. 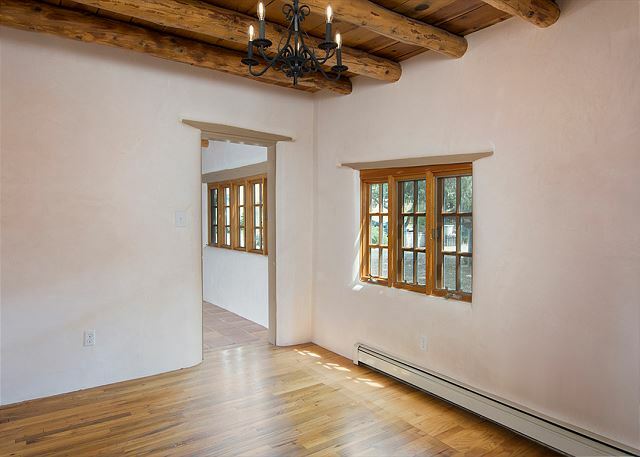 The adobe wall construction and thick foam insulated ceiling keep the home naturally cooler in summer and warmer in winter. 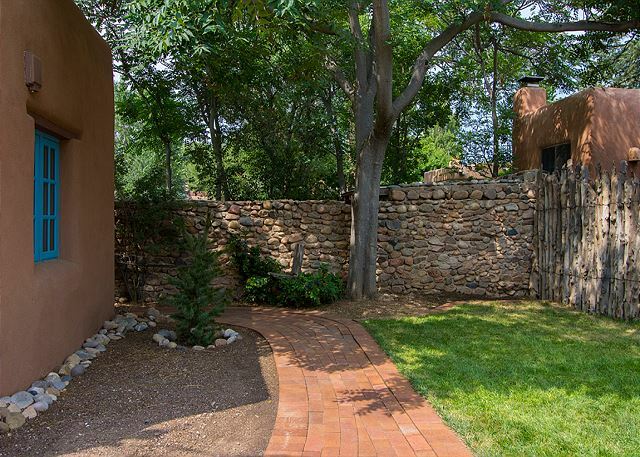 Mature trees shade the garden side of the home. 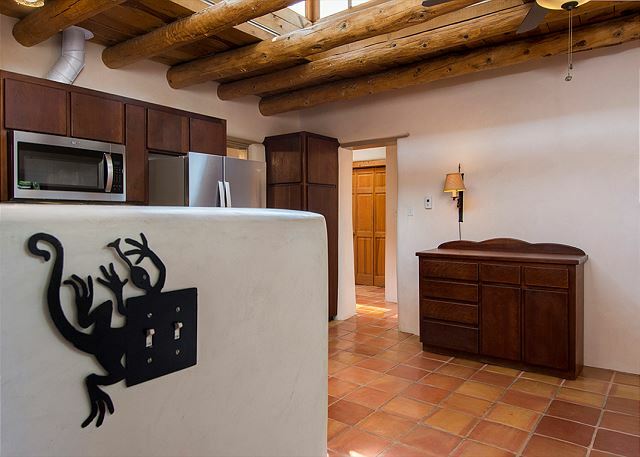 Windows throughout the house bring in Santa Fe's abundant light and warmth, while double-rod drape holders in the bedroom suites offer total control of light and privacy. 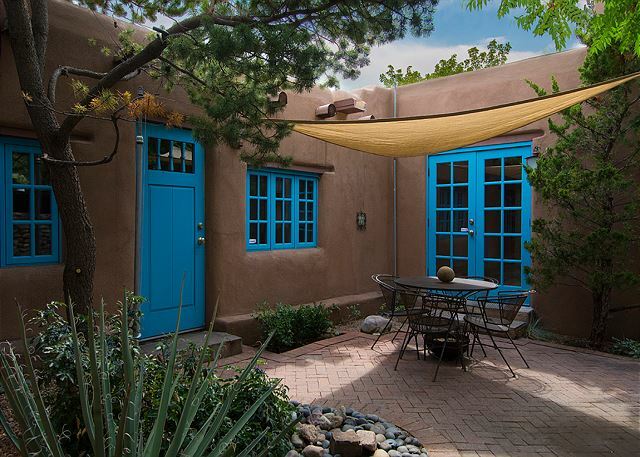 Living downtown Santa Fe and next to Canyon Road offers exploration of everything Santa Fe; a 15-minute stroll past cafes, galleries and the Cathedral Basilica brings you to Santa Fe's historic Plaza, with its Native American artisans and the Palace of the Governors. 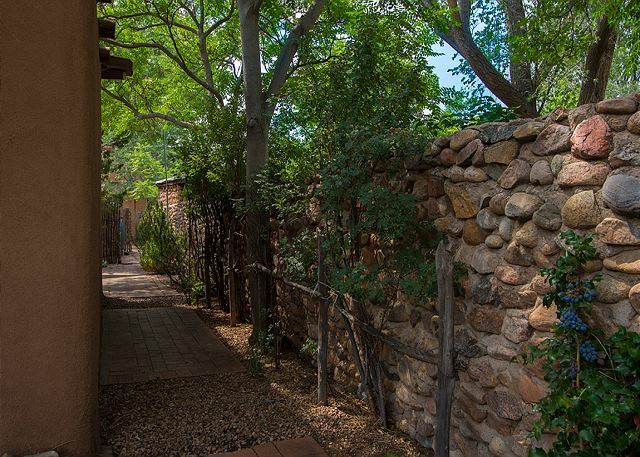 A 20 minute bike ride takes you past 2 beautiful municipal parks to the Dale Ball Trails, famous for its miles of scenic hiking and biking. 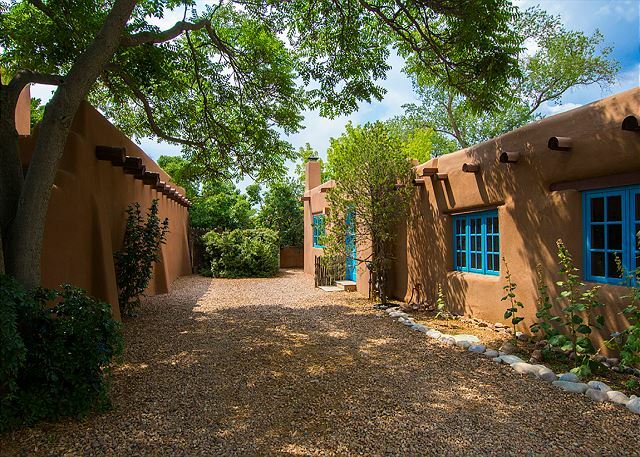 The Santa Fe River Walk, Georgia O'Keefe Museum, San Miguel Mission, New Mexico Museum of Art, and diverse other cultural and historical institutions are all nearby.